THE RESULTS OF THE TMAU TEST, BATCH#3 ARE IN. A TMAU Test Results Chart of all 86 TMAU tests with Liquid Chromatography since the commencement of this program in the Summer of 2012 has been created. By seeing where your figures fall in comparison to other sufferers who tested, you can get a better understanding of what role TMA plays in your odor condition. 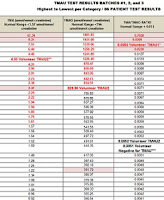 NOTE: Please keep in mind that this table does not depict the figures of one individual on the same row, and consequently, the significant relationship among the TMA levels, TMAO levels, and the TMA/TMAO Ratio of any one particular individual is not noted except for those of our three volunteers noted on the chart; this was done intentionally to protect the privacy of each participant. In an effort to facilitate understanding of how to obtain information from this chart, three volunteers have come forward and given permission for their figures to be mapped on the chart for the sake of comparison and understanding, as long as they remain anonymous. Anonymous TMAU1 is a volunteer whose results are indicative of Primary TMAU (genetic TMAU) with an above normal TMA/TMAO Ratio. Anonymous TMAU2's results are indicative of Secondary TMAU (acquired TMAU) with increased TMA. Anonymous Negative for TMAU, is a sufferer who presents with intermittent odor, and this test did not show TMAU to be the cause of his symptoms at the moment he collected his sample. The pink cells that don't have a description of the participant's identification are all Primary TMAU. The indicator for Primary TMAU is the TMA/TMAO Ratio column. Another indicator of Primary TMAU is that the numbers are usually very low on the TMAO column. This is because an FMO3 metabolic enzyme's function is to add the oxygen (O) element to the odorous TMA, to thus renders it non-odorous. In Primary (genetic) TMAU, the FMO3 enzyme is deficient, so alot of odorous TMA stays in your blood without the oxygen element being attached to it. In the TMA column, as in all three columns, the top numbers in red figures are the above normal range, which means that these people have high levels of TMA (odorous chemical - rotten fish odor) in their blood and coming out of their urine. Once you get to the black numbers, those persons have normal range of TMA, so they shouldn't be smelling of rotten fish. That doesn't mean that they don't smell, it does mean that it's not from the chemical, TMA, that gives off a rotten fish odor. If you scroll down to the second page, you will find your figure of 0.46/TMA, which means that you have relatively low TMA levels in your blood, and it's low even in the normal category. Could it be that you are on a very low choline diet? If not, then you don't have an overgrowth of bacteria that converts choline to TMA in your gut. If you are on a very low choline diet, then you could probably eat more choline, and still be within the normal range that does not emit rotten fish odor. In other words, your odor is of a different chemical, yet to be identified, not of TMA. The TMAO column is the TMAO levels. TMAO is a molecule in which the FMO3 metabolic enzyme added an oxygen element to the odorous TMA to render it non-odorous. The persons who are on top of this list have a very active FMO3 metabolic enzyme, and therefore, do not have the hereditary type of TMAU (Primary TMAU). The genetic type of TMAU is caused by a deficient FMO3 metabolic enzyme that cannot handle normal loads of TMA, resulting in it staying in its odorous state without having the oxygen added to it. The TMAO level is also dependent on the amount of TMA in your body. It's impossible for the FMO3 enzyme to add an oxygen element to a non-existent TMA. 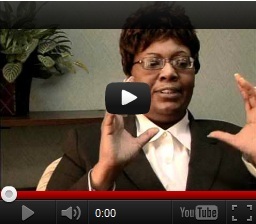 The TMA/TMAO Ratio, is what really indicates whether you could possibly have Primary TMAU. It's all about the relationship (ratio) between your TMA levels and your TMAO levels. The TMA column and the TMAO column could be very low, but the results of the Ratio column is what shows whether the FMO3 metabolic enzyme is working properly when TMA is present. For example, anonymous TMAU1 did NOT do a choline load for the test, so his TMA and TMAO are very low. Yet, his Ratio was very high - indicative of having the genetic form of TMAU. It shows a weak FMO3 enzyme activity when faced with TMA. Your result figure in this column is very low on the 2nd page. 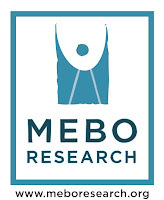 Thank you to everyone who has participated in this and other MEBO Research Programs.